If you are serious about trading, Elliott Wave International's (EWI) Jeffrey Kennedy has some advice for you: learn emotional discipline. In this article from his Trader's Classroom Collection, he shares some expensive lessons he learned during his 20+ years trading the markets. 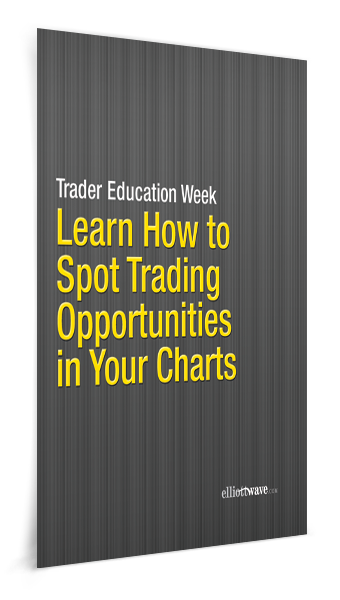 EWI is hosting a free Trader Education Week through August 27. It will feature video trading lessons from Senior Instructor and Chartered Market Technician, Jeffrey Kennedy. Register now and get immediate access to the lessons that EWI has already posted, plus 3 introductory learning resources -- and you'll receive more lessons as they're unlocked each day of the event. My analysis was perfect -- it was like having tomorrow's newspaper today. Unfortunately, I wanted to hit a home run, so I ignored singles and doubles. I now call this emotional pitfall the "Lottery Syndrome." People buy lottery tickets to win a jackpot, not five or 10 dollars. It is easy to pass up a small profit in hopes of scoring a larger one. Problem is, home runs are rare. My goal now is to hit a single or double, so I don't let my profits slip away. Since then, I've identified other emotional pitfalls that I would like to share. See if any of these sound familiar. Have you ever held on to a losing position because you "felt" that the market was going to come back in your favor? This is the Inability to Admit Failure. No one likes being wrong, and, for traders, being wrong usually costs money. What I find interesting is that many of us would rather lose money than admit failure. I know now that being wrong is much less expensive than being hopeful. Another emotional pitfall that was especially tough to overcome is what I call the Fear of Missing the Party. This one is responsible for more losing trades than any other. Besides overtrading, this pitfall also causes you to get in too early. How many of us have gone short after a five-wave rally just to watch wave five extend? This emotional pitfall has yet another symptom that tons of people fall victim to: chasing one seemingly hot market after another. To avoid buying tops and selling bottoms, I have found that it's best to look for a potential trade where (and when) no one else is paying attention. My biggest emotional monster was being the Systems Junkie. Early in my career, I believed that I could make my millions if I had just the right system. I bought every newsletter, book and tape series that I could find. None of them worked. I even went as far as becoming a professional analyst -- guaranteed success, or so I thought. Well, it didn't guarantee anything, really. Analysis and trading are two separate skills; one is a skill of observation, while the other, of emotional control. Being an expert auto mechanic does not mean you can drive like an expert, much less win the Daytona 500. I am not a psychologist or an expert in the psychology of trading. These are just a few lessons I've learned along the way ... at quite a cost most times. But if you are serious about trading, I strongly recommend that you spend as much time examining your emotions while you are in a trade as you do your charts before you place one. What you discover may surprise you.